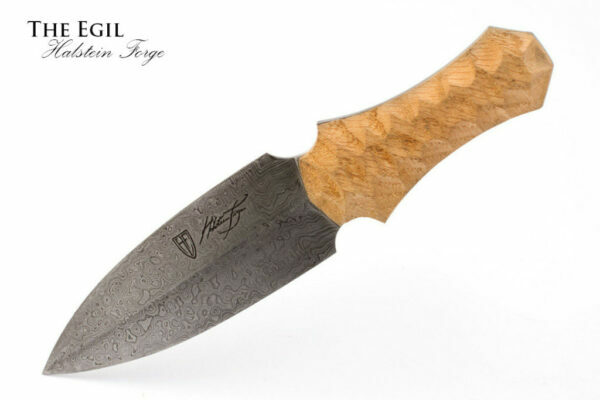 The Jarl, meaning Chieftain, is forged with blend of blend of 1075 and 8670m steel, giving a stunning contrast to the folded steel layering. 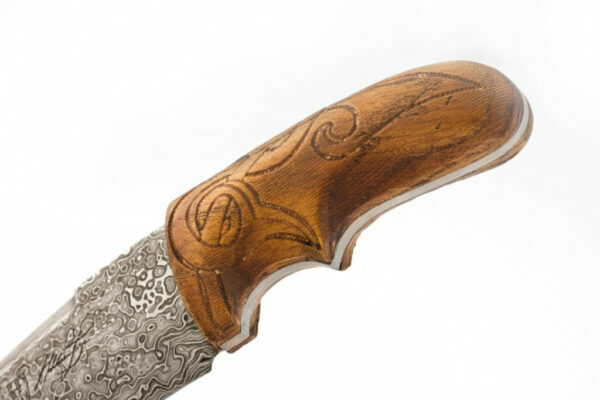 In most tribal cultures, the position of chieftain is one of great importance and carries with it an air of power balanced with responsibility. 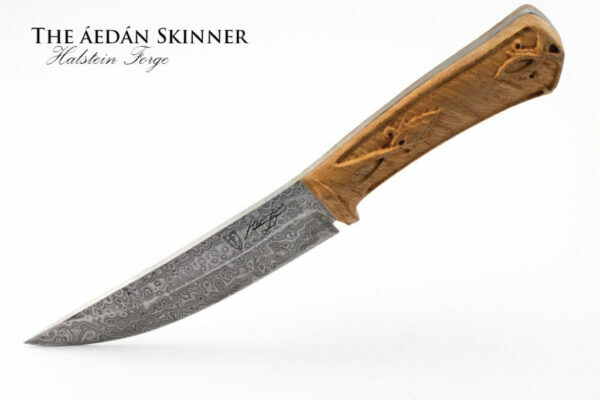 Nowhere is that more true than in Norse culture. 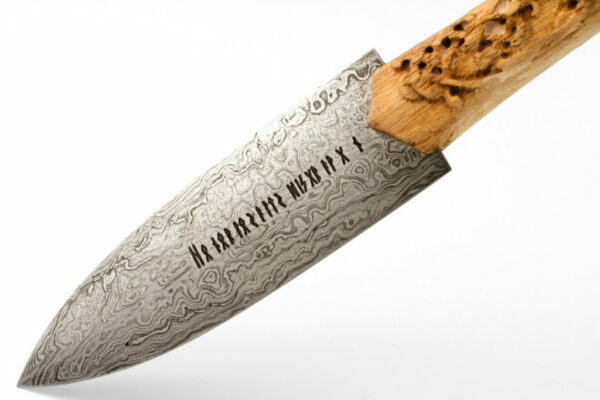 For the Norse peoples, the position of chieftain (called “Jarl”) was one that was both feared and respected. 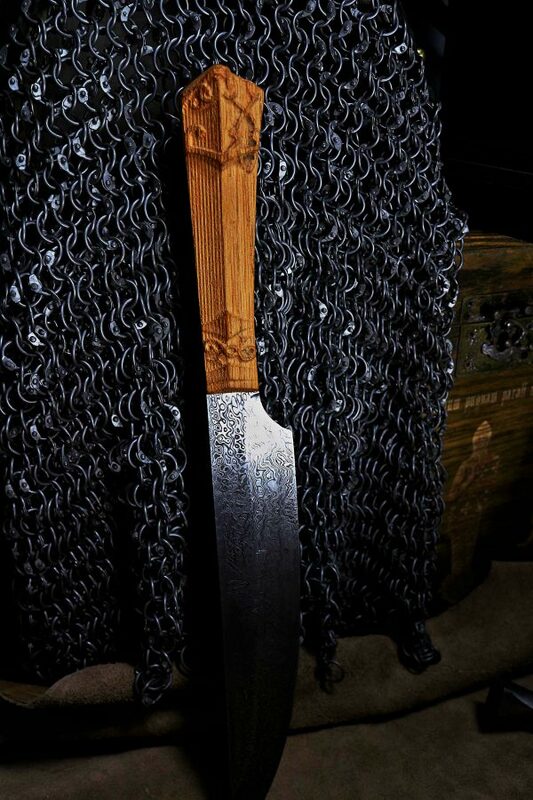 Jarls ruled their people, while not always gently or kindly, with iron resolve. Surviving information from the Viking era suggests that, for the Norse people, a Jarl was more than just a leader – he was father to his people, their provider and protector. 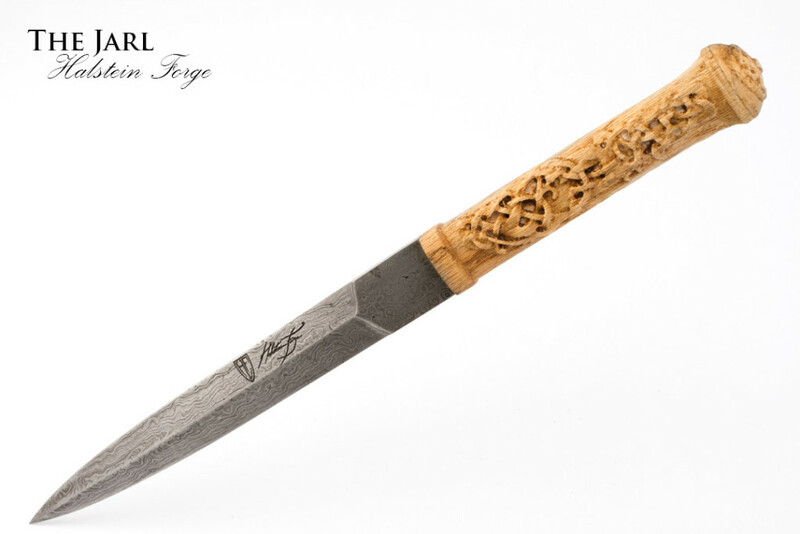 The title and concept of the Jarl as wise and powerful chieftain has moved beyond the pages of history; from the History Channel’s popular show “Vikings” to the Nord nobility in the popular Elder Scrolls: Skyrim video game, the term Jarl has become a part of our popular culture. 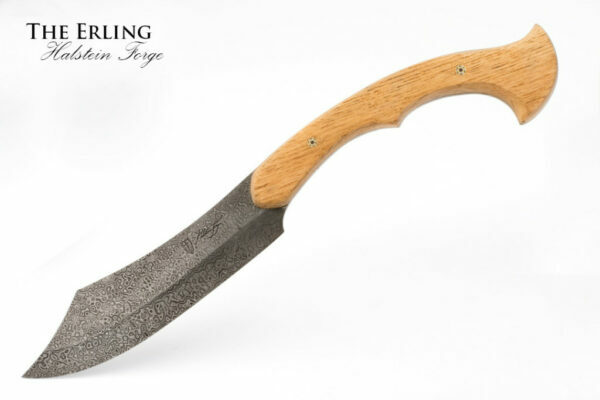 The Halstein Forge Jarl knife is inspired by this traditional position of power. 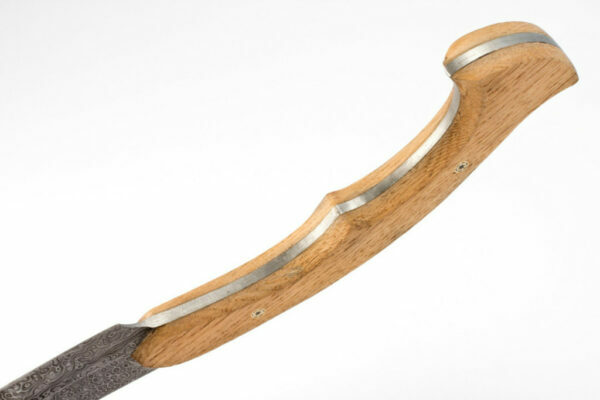 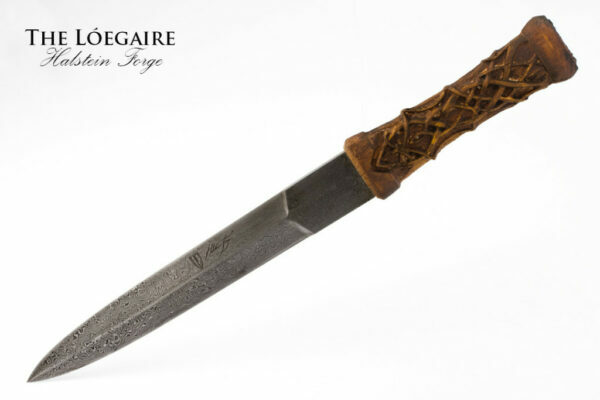 The blade itself is a simple traditional belt knife, as would be common for any Norse warrior to carry for tasks martial and mundane. 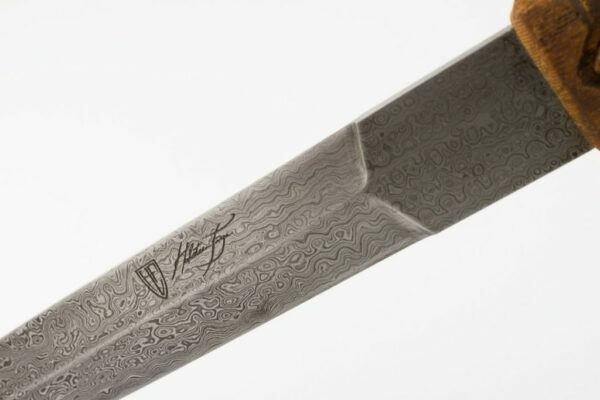 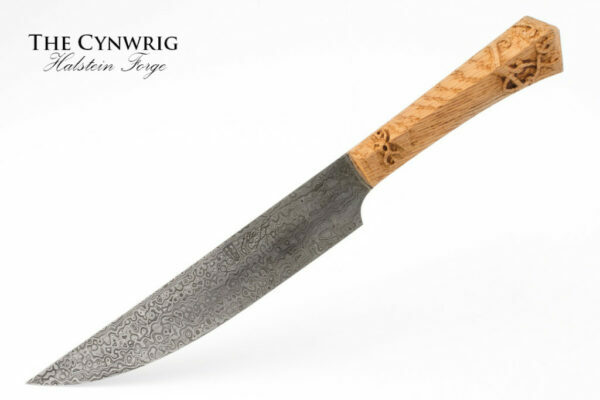 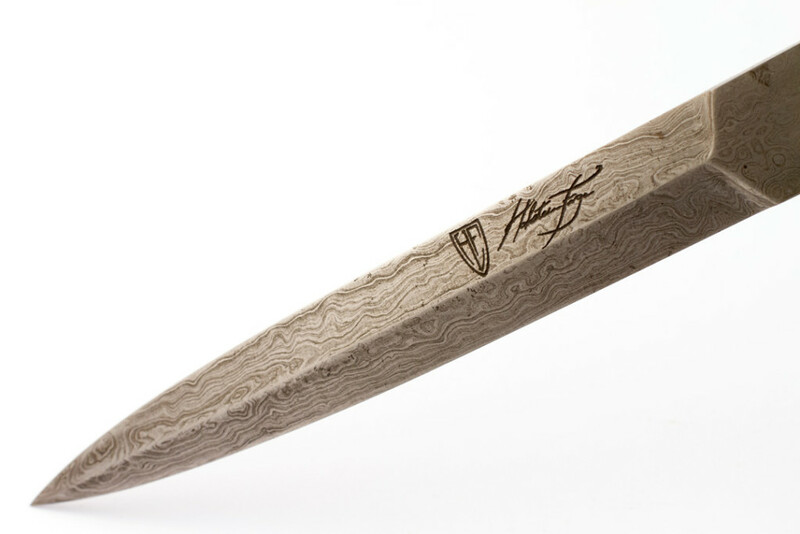 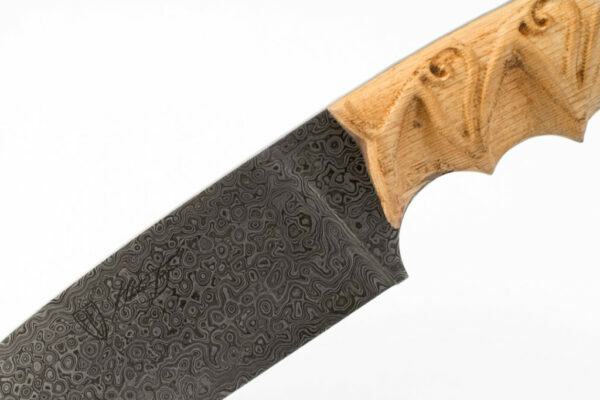 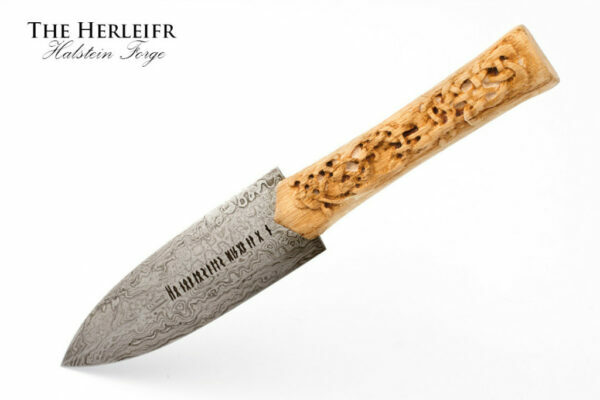 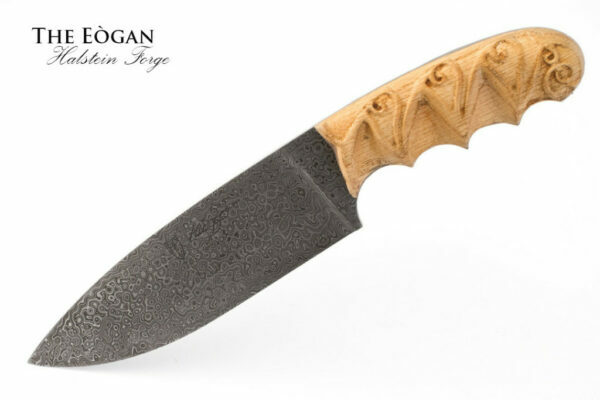 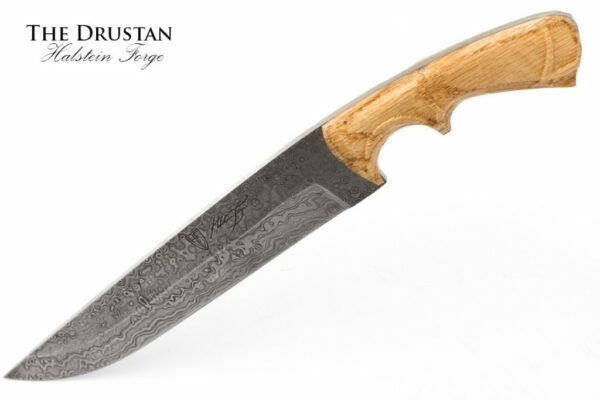 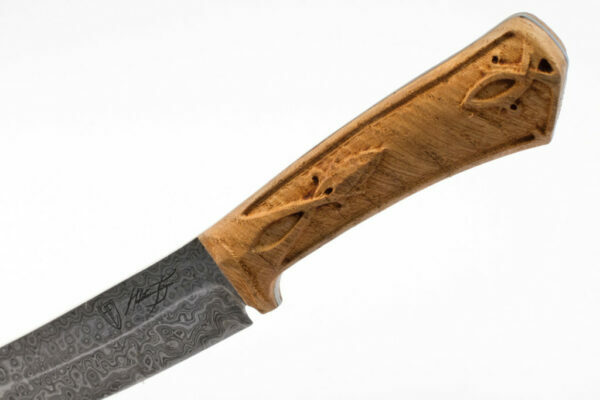 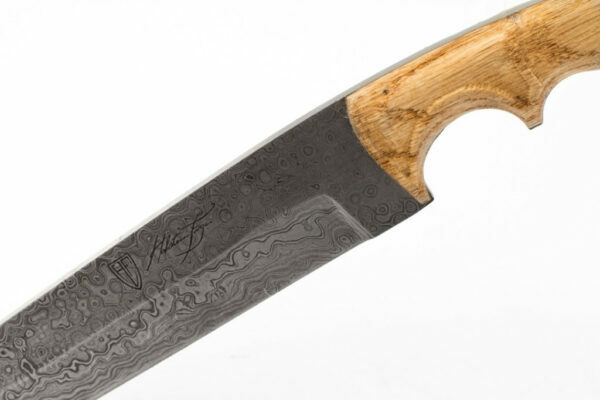 However, the combination of the beautiful Damascus steel (which is historically plausible, as Viking smiths did discover the secrets of pattern-welding) and the oaken handle carved with Norse knotwork from the Urnes Stave Church makes this more than a simple tool. 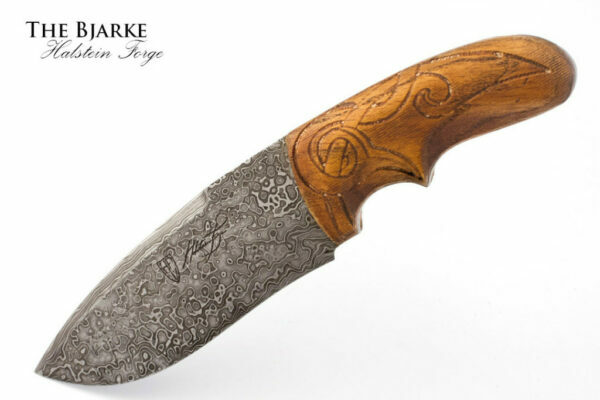 This knife is a beautiful piece of functional craftsmanship, worthy to be carried by a Jarl as he – or she – protects and guides their family.